Android M Nexus devices to get a two-year update guarantee? Are guaranteed updates on the way for Nexus devices? When you buy a new phone, how long is it going to be able to run the latest software for? It's that kind of buyer anxiety that Google is hoping to do away with, according to the latest rumour reported by Android Police. Sources speaking to the site say Android M Nexus devices will be guaranteed to get updates for two years. Apparently the program will be applied retrospectively too, putting the Nexus 5 (October 2013) and Nexus 6 (November 2014) in line for the new mobile OS. What's more, Nexus phones and tablets will be guaranteed to get security updates for three years or 18 months after purchase, whichever lasts longer. In other words, your Nexus 4 (November 2012) will still get patches for several months yet. 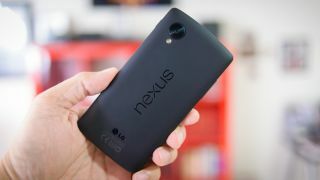 If true, it's another reason to pick a Nexus-branded device over a rival handset - fragmentation and sluggish update cycles are problems that have plagued the Android scene over the years. Android Police sounds fairly confident of its sources. The site says the new guarantees could get announced at Google I/O next week, or might be kept back until there's a new Nexus device to show off. We're expecting to hear a lot more about Android M on the 28-29 May. Rumoured to be included in the new operating system are features such as native fingerprint sensing technology, better app privacy management and improved voice control.